Chris Hamilton. Photo: Shakira Wilson. Dr Jose P Rizal is a hero of the Philippines’ struggle for independence from Spain. He was executed for his writings, including his semi-autobiographical novel Noli Me Tangere (Touch Me Not), which in part exposed the Catholic Church’s complicity in brutal colonialism. Allan McFadden (music and lyrics) and Peter Fleming (book and lyrics) have adapted this into a new musical, and, like those of Rizal and his protagonist Crisostomo Ibarra, their motives were sound, but their show is very much a work-in-progress. In distilling Rizal’s sprawling novel into a two-hour musical Fleming has tried to stay true to the labyrinthine plots and sub-plots, when what was required was a less reverential, more intrinsically theatrical adaptation. The Hamlet-echoing story (Ibarra returns to from Europe to puzzle over his father’s suspicious death) begins with the overly-long Questions, in which he soliloquises about what might happen upon his arrival, when we needed to be hurled straight in to the action. 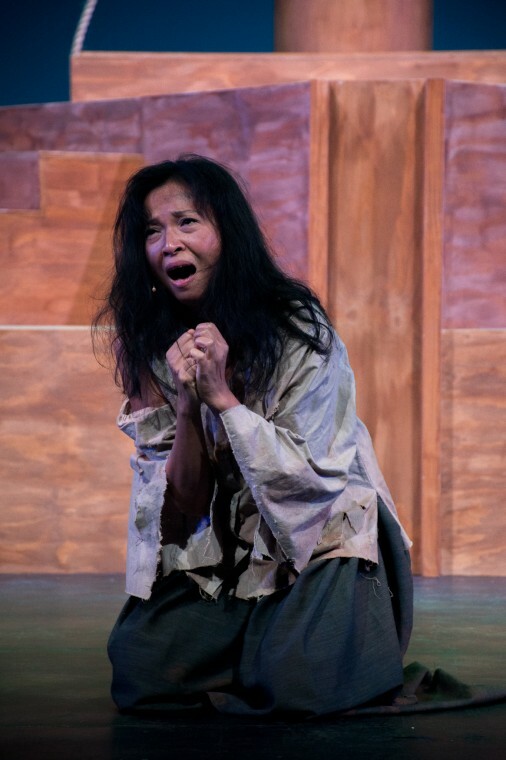 Fully addressing the dramaturgical flaws might require cutting 40 minutes and 10 songs, probably including the only one that currently carries real emotional clout, Mother of Thieves, a thrilling, mad-scene piece brilliantly delivered by Lena Cruz as Sisa. This encapsulates the show’s frustrations: despite compelling passages and five truly convincing performers (in a cast of over 20), these highlights are diluted by out-of-focus story-telling, substandard songs and amateurish performances. Lena Cruz. Photo: Shakira Wilson. The two leads aren’t working. Miguel Castro deploys a robust voice as Ibarra, but his acting is about as wooden as the set, partly thanks to his character being charmlessly, relentlessly self-righteous and a nudge thick. Susana Downes brings a brittle voice to his on-again-off-again flame, Maria Clara, and the curse of some of the most overwrought songs. Their melodramatic affair lacks emotional sophistication. When McFadden’s best music – usually his more complex and agitated work – is performed by the stronger singers we see the show’s potential. 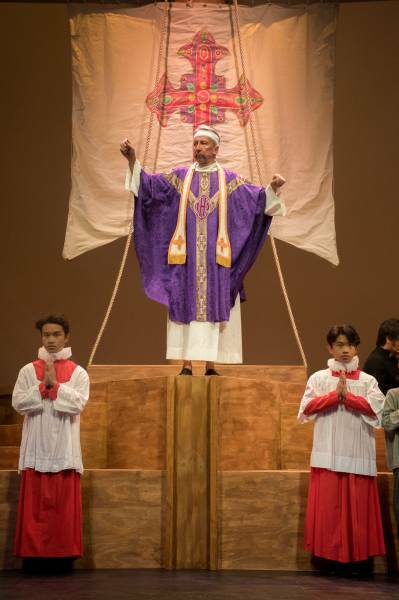 Chris Hamilton and David Hooley excel as the two dastardly friars, Sean Perez admirably realises the most intriguing character, Ibarra’s friend Tasio, and Marcus Rivera portrays the fiercely committed rebel Elias without resort of exaggeration. Dancers (choreographed by Novy Bereber) intermittently twirl into seemingly the wrong show, and Deirdre Burges’ set (accommodating McFadden’s pedestrian septet) is striking enough, while, like the creators, narrowing director Aarne Neeme’s options.